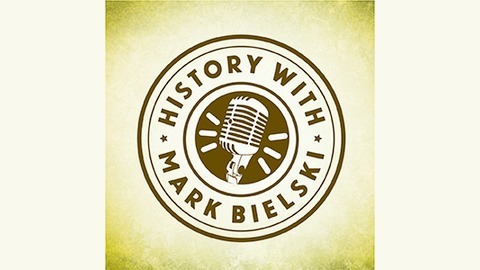 Tune in for a more conversational discussion of history with historian Mark Bielski and his guests. We all know there was a war and who was president, but what about the spies, the intrigues, the deceptions and the backstories? What about learning about the occasional farcical or comedic decisions made by serious figures and their sometime tragic results? 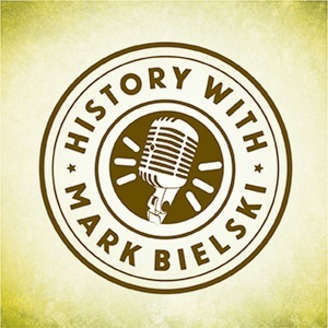 By telling the untold tales of our past, Mark Bielski is committed to making history come alive for future generations. Garth Ennis: "The Night Witches"
Renown Graphic novelist, Garth Ennis, visits with Mark to discuss his new release, The Night Witches, a book about the young women who flew night bombing raids for the Red Army in WWII. As the German army smashes deep in to the Soviet Union and the Red Army retreats in disarray, teenager Anna Kharkhova quickly grows into a hardened combat veteran flying obsolete bi-planes. As death and destruction grows exponentially, she deals not only with the Nazi enemy, but the terrifying threat of her country’s secret police.